Communication studies student Arizona Leger was recently appointed to a Ministerial Advisory Group to review the current state of NCEA. 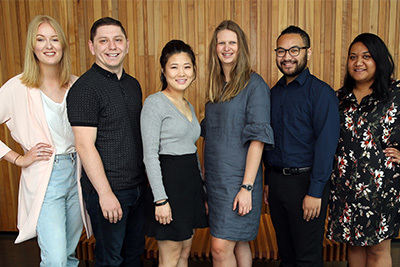 Bachelor of Communication Studies student Arizona Leger recently joined a group of innovative thinkers from across the education sector on a Ministerial Advisory Group tasked with reviewing NCEA. 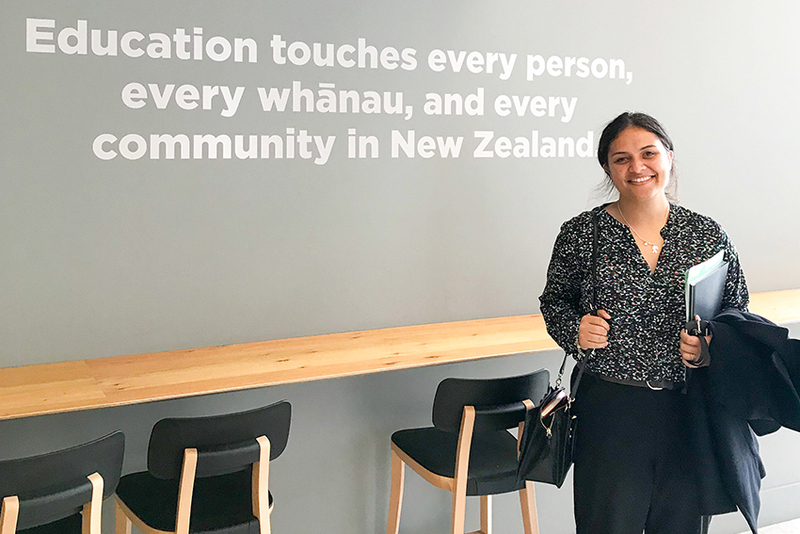 An AUT student since 2014, Arizona has been a Student Ambassador, worked in a mentoring role with the Office of Pacific Advancement and has been actively involved in the UniPrep programme since 2015. Her experience is well-suited to the advisory group role. "We see students during the summer between high school and university," Arizona said. "Through UniPrep I've gained a lot of insight into how NCEA impacts students." Initially daunted by the appointment, Arizona has relished the opportunity to be intimately involved in developing new ideas for the future of NCEA. "I didn't realise the gravity of the task we had been assigned when we started – I felt so out of my depth when the group first met," Arizona said. "I've always been involved in things from an operational point of view and this was my first experience sitting in the governance space. Plus I was working with some very experienced and respected educational policy people, which can be intimidating." But any trepidation was put at ease as the group's work progressed. "My fellow group members are great at considering all angles and hearing all opinions. A real strength of the group is that it is a diverse one – we all bring a unique perspective." And that perspective has served Arizona well so far. "Sometimes I will bring something up that I assume is common knowledge and it will be revelatory for the group – it is massive to be able to draw on my knowledge and experience and contribute in such a meaningful way," Arizona said. The group's findings and discussions will be compiled into a policy document and sent to the Minister for review. From there a set of actions will guide future implementation work; bringing the work of the Advisory Group full-circle. "I've been really honoured to be part of this group," Arizona said. "We have been given an important opportunity to explore how we can achieve excellent results, remove barriers and help high school students succeed." Find out more about the Minister Advisory Group on the Beehive website.